Jacob Christian Schaeffer (more formally written Schäffer, but for Internet search purposes in particular accents and other special characters are rarely used), was born Born on 30th May 1718 in Querfurt, near Halle, in Thuringia, Germany. Mycologists recognise Schaeffer (rather than writing Schäffer I'll use 'Shaeffer' hereafter on this page) as the author of a four-volume work on macro fungi. Schaeffer is also cited as the original describing author for many fungal species that had not been previously found, or at least formally recorded. Another much more recent German Mycologist, Julius Schäffer (that gives me yet another chance to use the unaccented form of the name 'Schaeffer'), 1882 – 1944, is best known for his work on gilled fungi in the genus Russula as well as for being the only latter day mycologist known to have died from eating poisonous mushrooms, in Julius Schaeffer's case Brown Rollrims, Paxillus involutus. His name in citations is usually abbreviated as Jul. Schaeff. Back to Schaeffer the elder... After initially attending the Poeticum college, he moved on to study theology at the University of Halle between 1736 to 1738, thereafter becoming a teacher in Ratisbon, where in 1741 he became a professor. 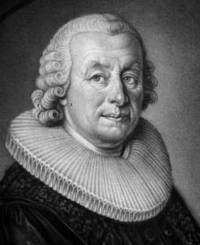 In 1760 the University of Wittenberg made Schaeffer a Doctor of Philosophy, and in the same year the University of Tübingen made him an honorary Doctor of Divinity. Four years later the British Royal Society made him a Fellow. In 1779, he became pastor of the Protestant parish in Ratisbon, and as so often was the case with clerics, he maintained correspondence with many eminent biologists of his time including Linnaeus. Very much the curious-minded inventor, although having received no formal education in science, Schaeffer has a list of scientific and technological achievements that few could rival. He experimented with electricity, optical lenses and prisms, saws, and furnace technology; and he is well known also for pioneering work in the use of various plant fibres in paper manufacture. Schaeffer's breadth of interests is perhaps well underlined by the fact that in 1767 he published a design for a washing machine. It was the first such record from Germany, although probably not the first in the world, as a British patent for a washing maching was issued nearly 80 years earlier, in 1691. Schaeffer's mycological masterpieces (now available as e-books) have outlasted his mechanical creation. Jacob Christian Schaeffer died on 5th January 1790. The abbreviation Schaeff. is used to indicate Jacob Christian Schaeffer as the author when citing a botanical or mycological name. Icones et descriptio fungorum quorundam singularium et memorabilium; simul fungorum Bavariae icones natiuis coloribus expressae, editioni iam paratae propediem evulgandae denunciantur (Pictures of unusual and memorable fungi, showing in colour those fungi native to Bavaria), 1761. This book comprised a mere 16 pages, but it was followed by a very much more impressive four-volume, highly-illustrated work - see below. Fungorum qui in Bavaria et Palatinatu circa Ratisbonam nascuntur (Natürlich ausgemahlten Abbildungen baierischer und pfälzischer Schwämme, welche um Regensburg wachsen - The Fungi that Grow in Bavaria and the Palatine, around Ratisbon). Four volumes, written and published between 1762 and 1774. In addition to these mycological works, Schaeffer produced books and papers on a wide range of Nature topics including insects, birds, molluscs, and water fleas (tiny aquatic crustacea known as Daphnia). Manfred Knedlik (2001). Bautz, Traugott. ed (in German). Schaeffer, Jacob Christian. Biographisch-Bibliographisches Kirchenlexikon (BBKL). 19. Nordhausen. cols. 1221–1226. ISBN 3-88309-089-1. http://www.bautz.de/bbkl/s/s1/schaeffer_ja_c.shtml. Heinrich Dörfelt & Heike Heklau (1998) Die Geschichte der Mykologie (Die Geschichte der Mykologie). Geoffrey Fryer (2007). Jacob Christian Schäffer FRS, a versatile eighteenth-century naturalist, and his remarkable pioneering researches on microscopic crustaceans. Notes & Records of the Ropyal Society.